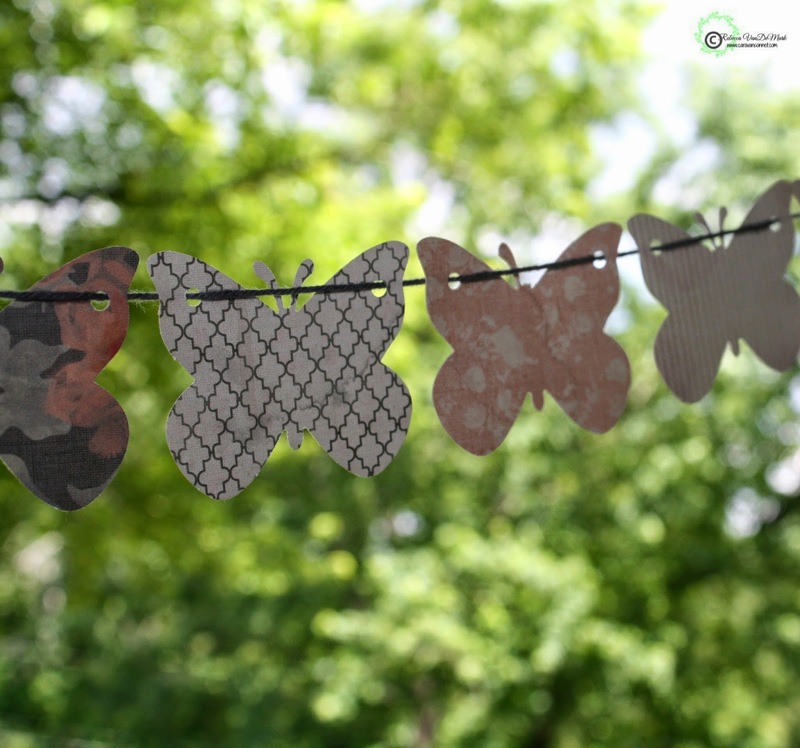 Yesterday I shared about the new clipboard art piece that is available in the shop and today I wanted to share with y'all the adorable butterfly bunting that is now available! 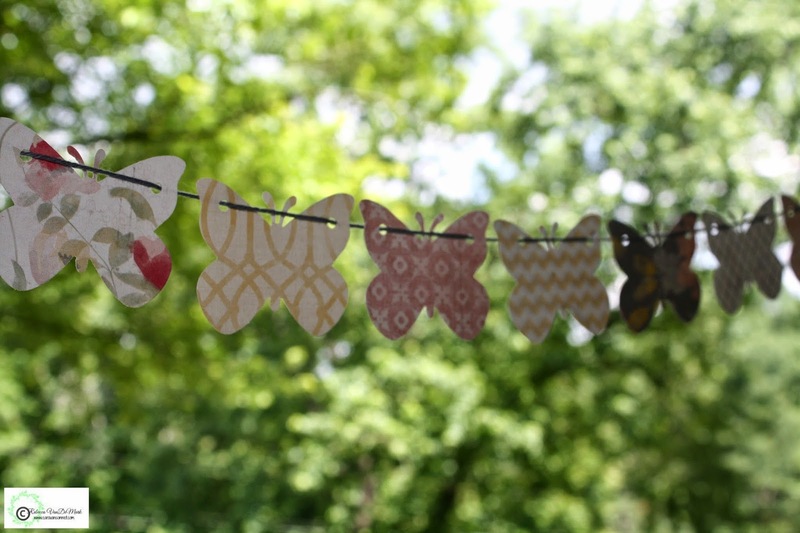 I love bunting and have for years and I am so excited to start offering bunting in the shop! 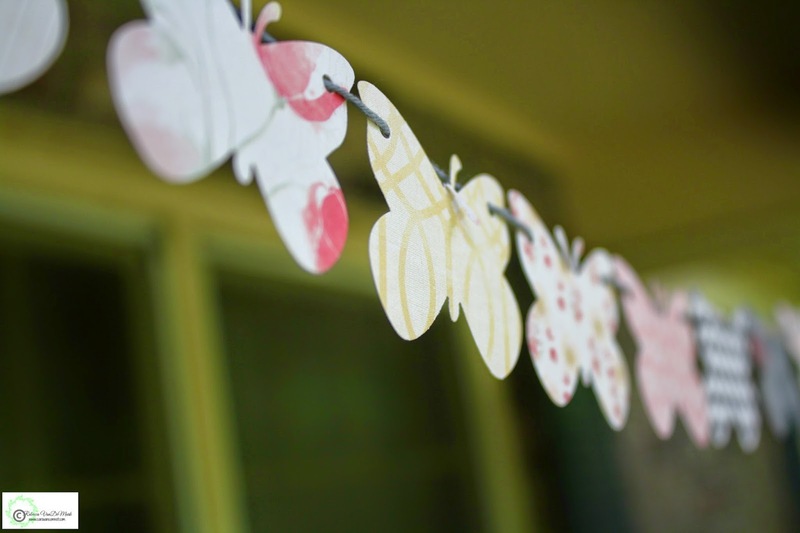 These two adorable garlands that I am sharing today are just so precious! 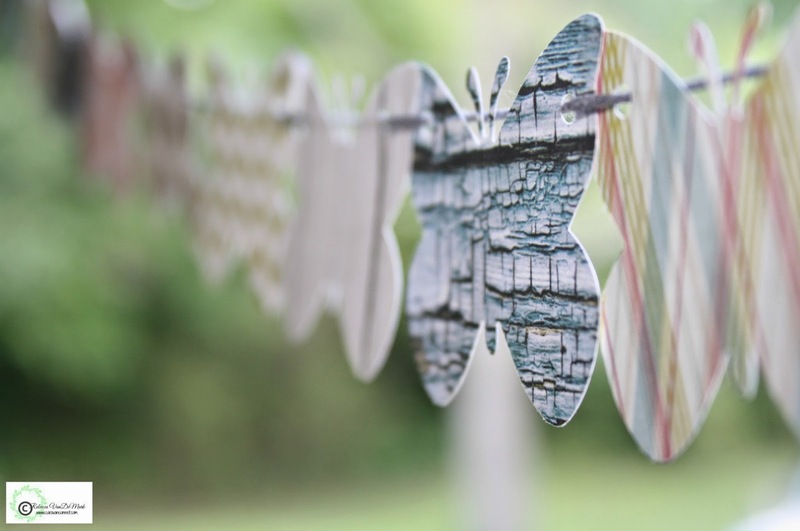 This beautiful butterfly bunting measures approximately 6 feet long and is hand strung together with dark grey twine. 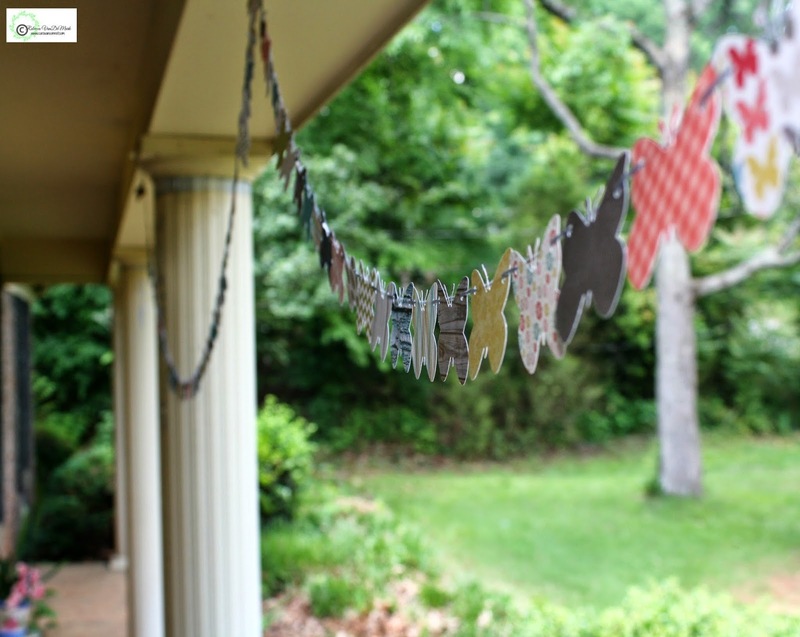 This sweet bunting is filled with a lovely combination of shades of yellows, greys, and pinks. 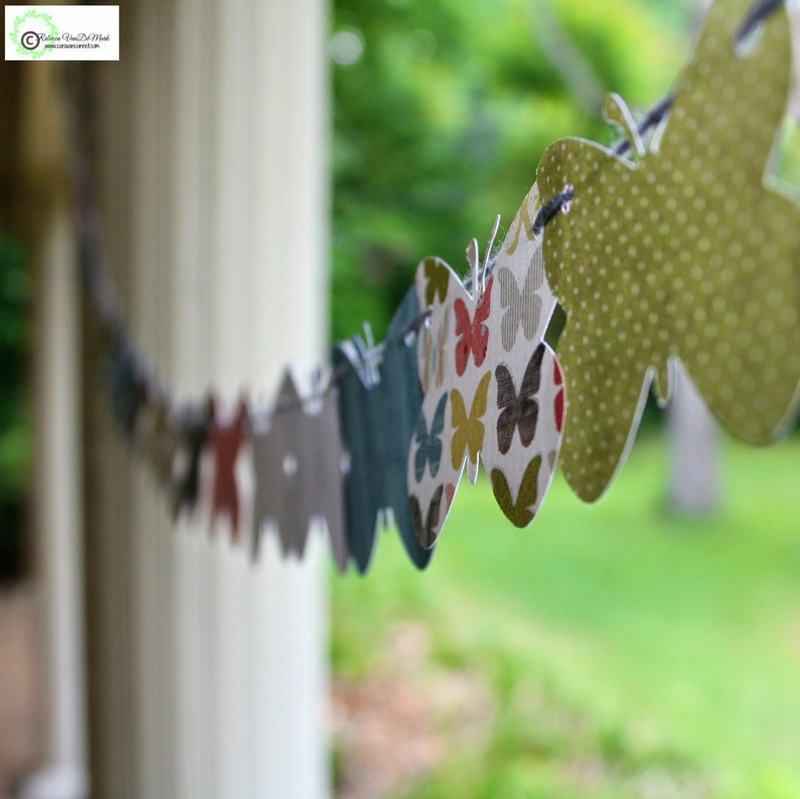 This gorgeous bunting is double sided with a variety of different patterns (including flowers, chevron, butterflies, geometrics, etc.). 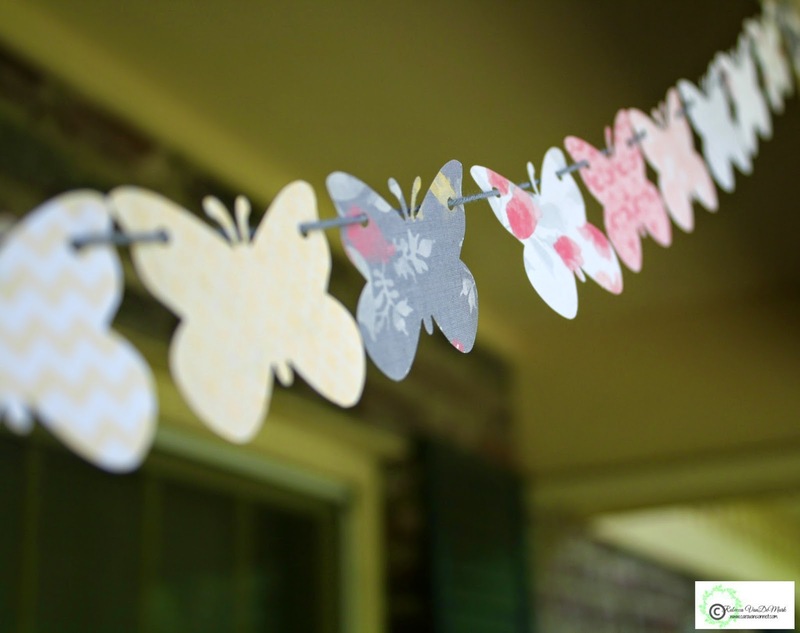 This beautiful butterfly bunting is really the perfect addition for a baby room, party, or any event that you are hosting. 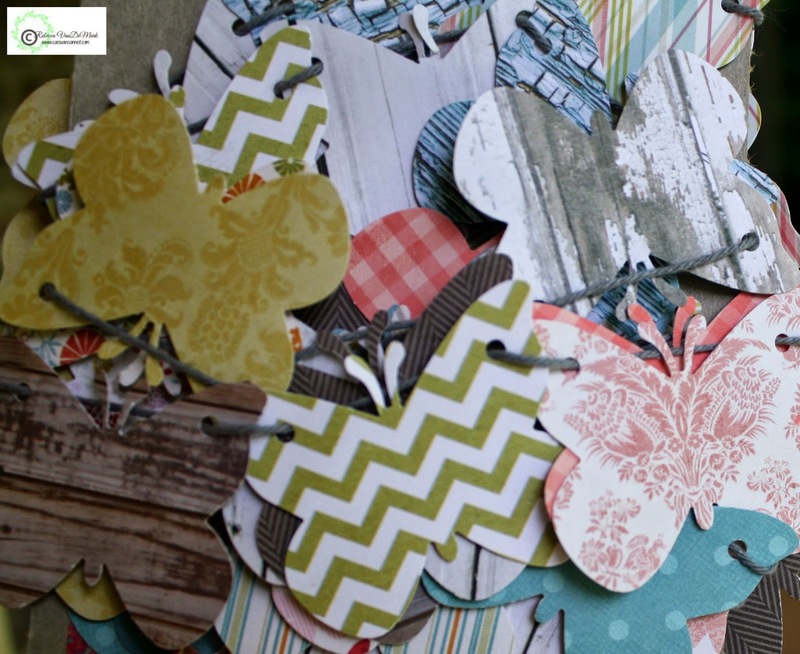 Don't have a special occasion or event but looking to give a gift to someone? This would be perfect! 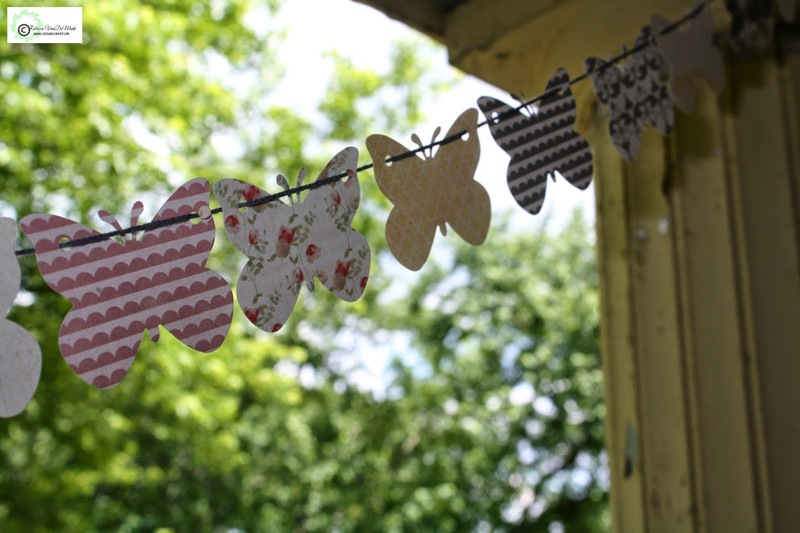 The wonderful thing about each bunting in the shop is that you could use them for a variety of different occasions! 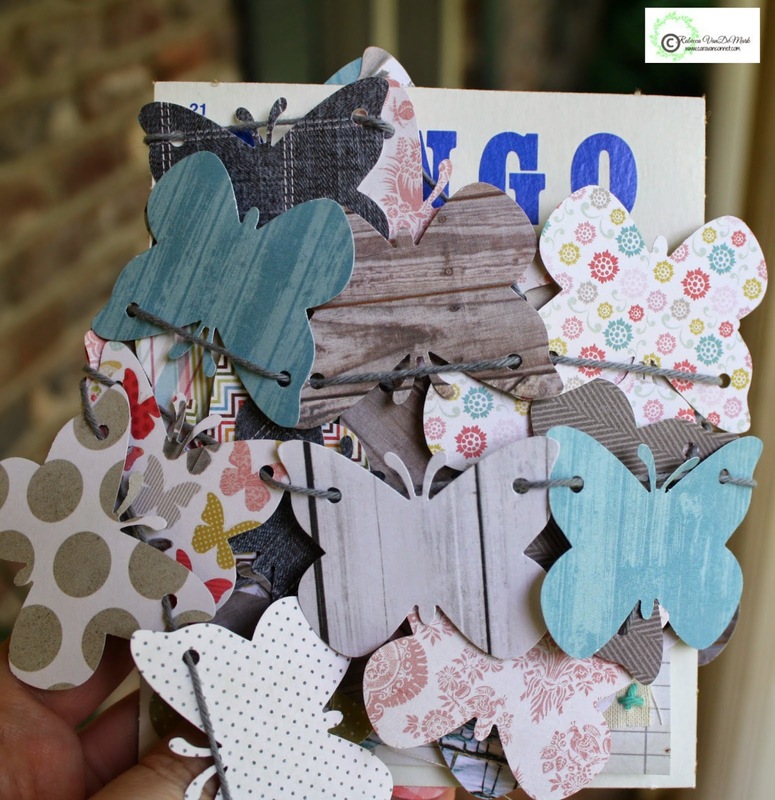 Each garland comes beautiful wrapped around (sturdy) vintage bingo cards to not only give it an extra layer of support as it travels but also to bring additional cuteness! 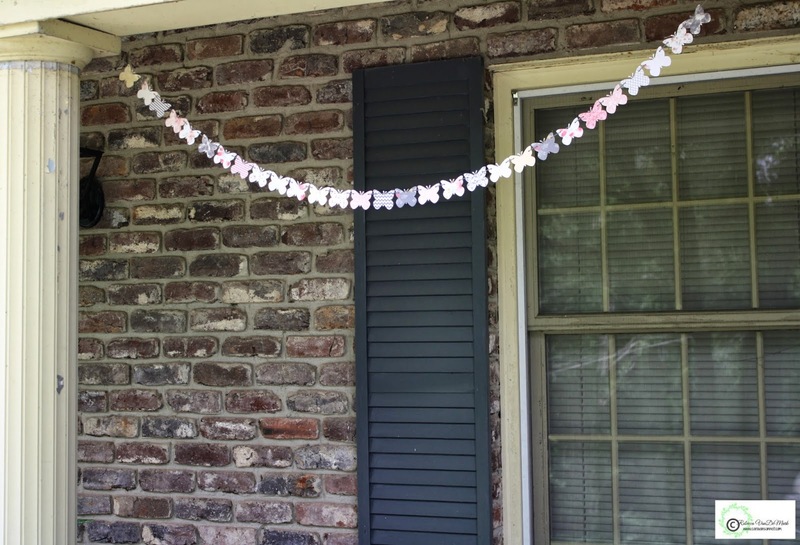 Interested in purchasing this bunting?Click HERE!! 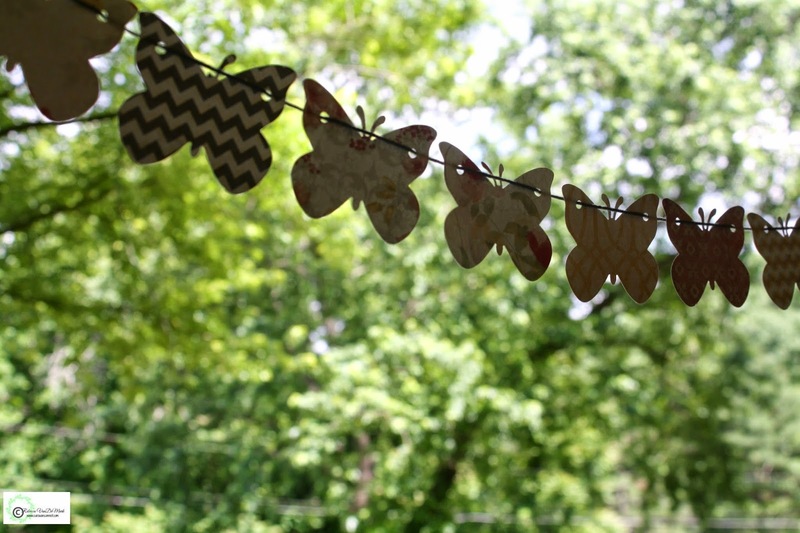 This beautiful butterfly bunting measures a little over two times from the one above. 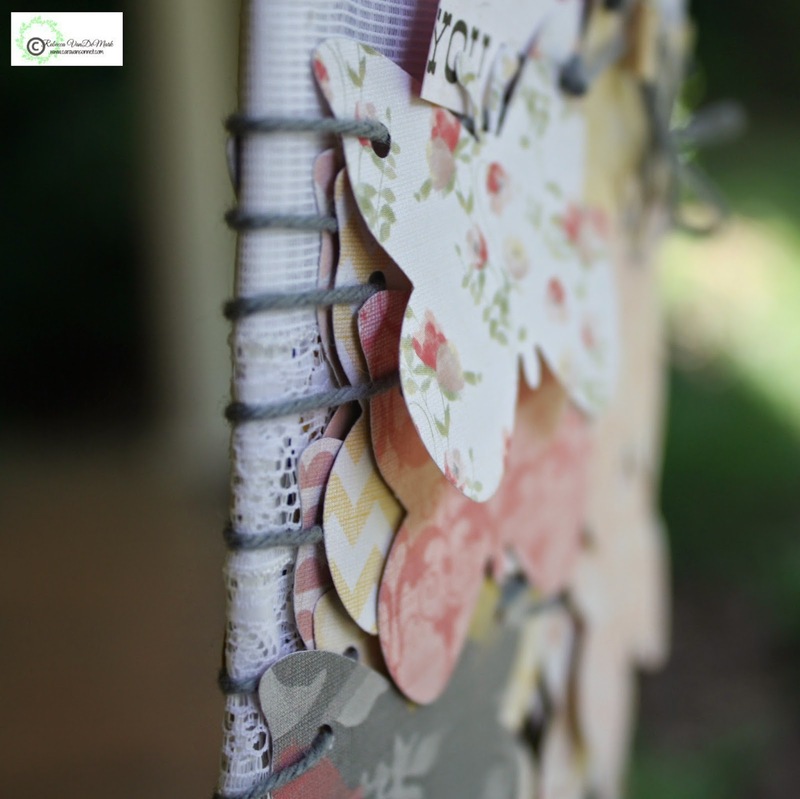 It measures at 13 and 1/2 feet and like the one above is hand strung together with dark grey twine. 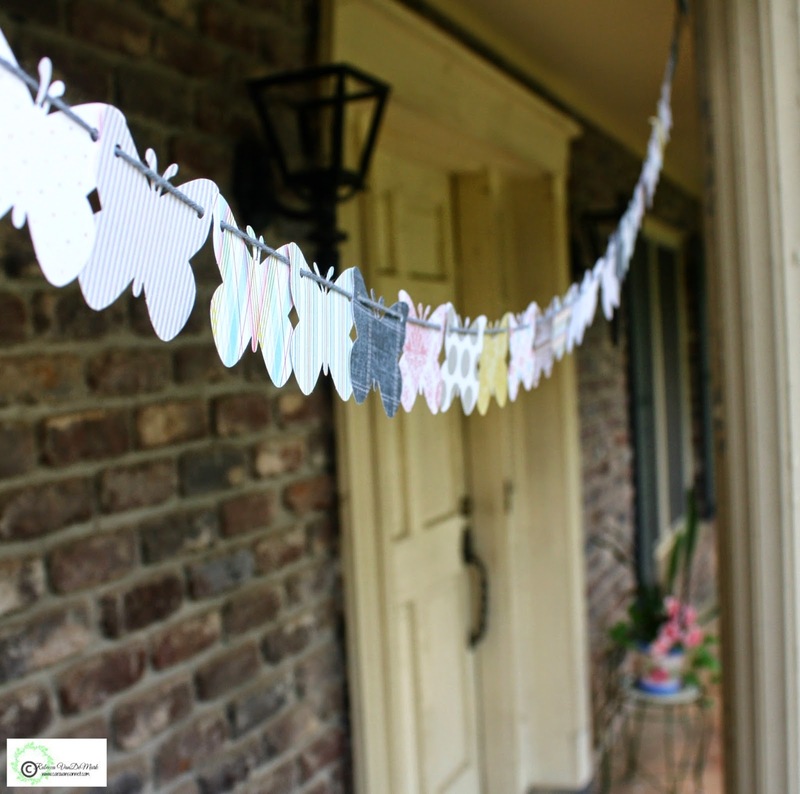 This sweet bunting is filled with a lovely combination of shades of blues, greys, greens, pinks, yellows, and coral tones. 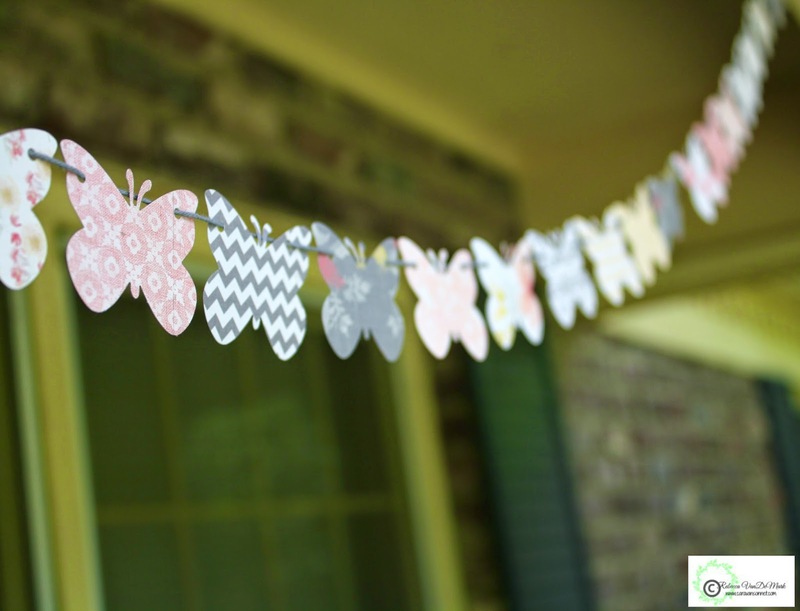 This gorgeous bunting is double sided with a variety of different patterns (including flowers, chevron, butterflies, geometrics, etc.). 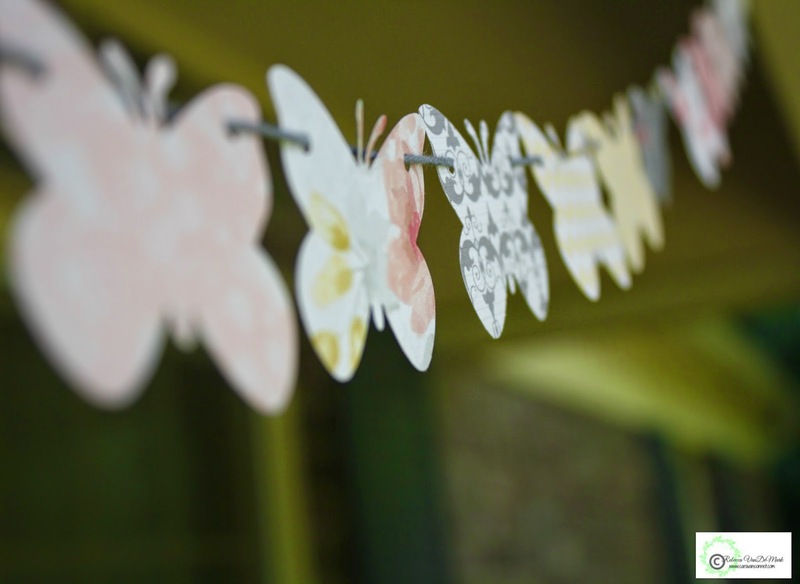 This beautiful butterfly bunting is really the perfect addition for a baby room, party, or any event that you are hosting. 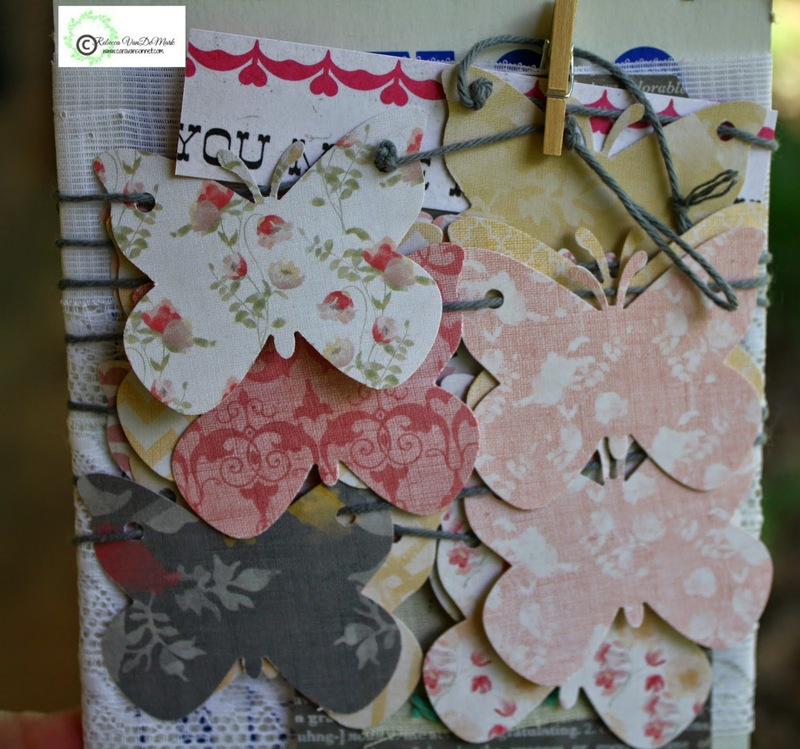 Don't have a special occasion or event but looking to give a gift to someone? This would be perfect! 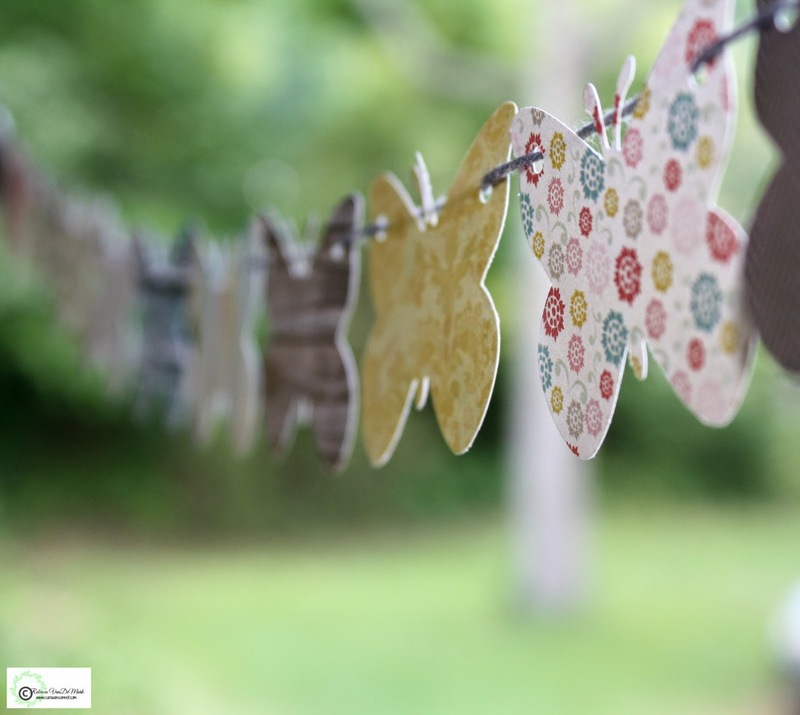 As I stated above, one of the wonderful things about each bunting in the shop is that you could use more them once for a variety of different occasions! 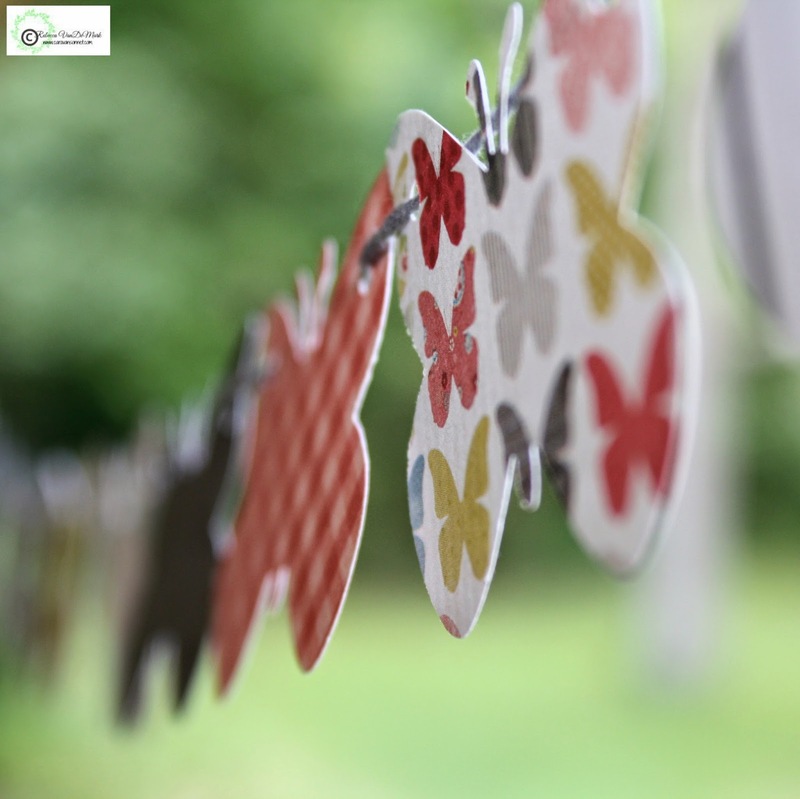 With the double sided bunting even the back could be used! 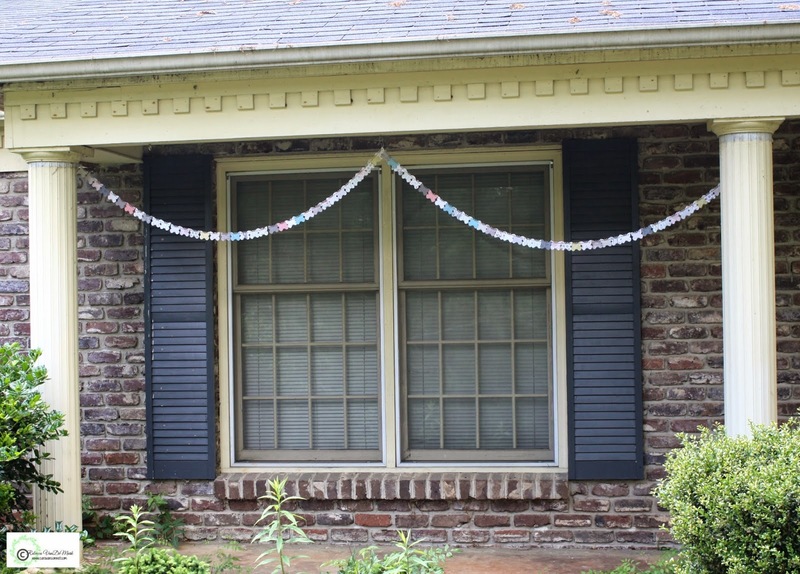 As I mentioned above, each garland comes beautiful wrapped around (sturdy) vintage bingo cards to not only give it an extra layer of support as it travels but also to bring additional cuteness! You can definitely see the beautiful variety of colors here in these shots! 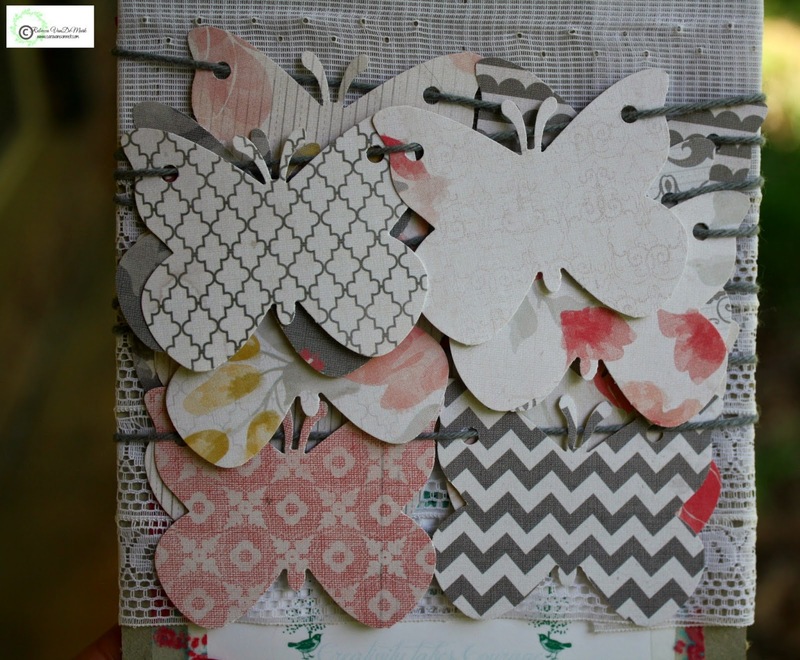 Love this color combination! You are so talented friend! Love this!